The Worshipful Company of Pattenmakers was once a trade association for the makers of pattens, undershoes of wood and metal strapped beneath their wearers’ shoes to raise them out of the mud of the streets. Today, its members run The Pattenmakers Company Charitable Foundation, a registered charity with a wide range of charitable purposes. Since the 15th century The Worshipful Company of Pattenmakers has been associated with St Margaret Pattens, and panels bearing the names of past Masters can be seen on the south wall. The first record of the ‘Mystery of Patynmakers’ is in the year 1379. For some time after there was a thriving trade in the City of London centred on Rood Lane, in which the Church now stands. The Church is used by the Company for its annual Ascension Day service, and also a joint Christmas service of nine lessons and carols with the Basketmakers' Company. 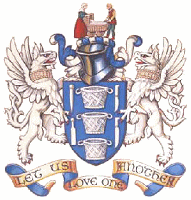 The Worshipful Company of Basketmakers was established in 1569 to control the manufacture of baskets within the City of London. 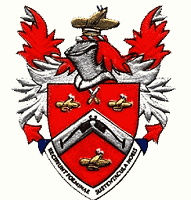 Today's objectives are: fellowship among the liverymen; support to the City charity; the craft of basketmaking. The Company has been associated with St Margaret Pattens since the end of the 15th century when basketmakers were living in the parishes of St Andrew Hubbard and St Margaret Pattens. An old Vestry Minute Book of the latter has reference to 15th and 16th century basketmakers and their gifts or payments made to the Church. The Church is used by the Company in October for its annual Installation Day Service and also for a joint Christmas service of nine lessons and carols with the Pattenmakers' Company.